Always use a low liquid level safety device! Electric Immersion heaters may ignite plastic tanks (such as poly-propylene and polyethylene). Beware of shock hazard! If an electric immersion heater is not properly installed it could pose a shock hazard to personnel. All CLEPCO equipment manufactured and sold by Intelligent Heater, LLC has been carefully inspected before shipping and subject to stringent quality control. Clepco products are warranted against defects in material and workmanship for a period of one year from date of shipment and are applied on a pro rate basis. As its option CLEPCO will repair or replace defective equipment. Intelligent Heater, LLC disclaims responsibility for failure arising from misuse, improper installation, negligence, tampering or other operating conditions beyond its control. Intelligent Heater, LLC is NOT liable for labor cost arising from removal, reinstallation or unauthorized repair of the product or for damage of any type including incidental or consequential damage. The user is responsible for overall safety and operation of the equipment. We highly recommend the use of low liquid level protection systems and liquid level controls when the use of heaters is involved. The suitability of products to specific application is the final responsibility of the user. Credit will be issued only after receipt and examination of returned merchandise. Replacement merchandise will be sent out and invoice as a new order. Any credits due will be issued against the old invoice. Upon receipt of merchandise inspect immediately for damages. Notify carrier promptly if equipment is damaged and keep all packaging for inspections. Do not reship back to Intelligent Heater, LLC. Claims against carrier for damages in transit must be filed by the buyer. Intelligent Heater, LLC reserves the right to determine customer’s financial responsibility in case of order change or cancellation. 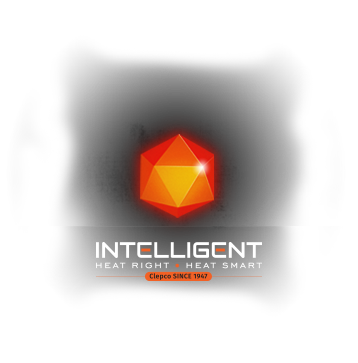 A determination will be made by Intelligent Heater, LLC based on point of production. No products shall be returned to Intelligent Heater, LLC without first obtaing Return authorization from the factory or one of its representatives. All returns must be freight prepaid. Freight collect or shipment without proper autho-rization will be refused. All returns must be clearly marked on the outside of the carton with RMA number. Also include the invoice number covering the original purchase, model number if the equipment being returned as well as any instructions where applicable. All return items must be thoroughly cleaned and free of any chemicals. A material safety data sheet for the chemicals must accompany the heaters or they will be refused. Delivery of goods to a common carrier shall constitute delivery to the purchaser and all risk of loss or damage in transit shall be borne by the purchaser. Unless otherwise specifically provided, delivery of the apparatus here under shall be made F.O.B. point of shipment. Shipping dates are approximate – and are based upon prompt receipt of all necessary information. Company reserves the right to make delivery in installments unless otherwise expressly stated. All such installments shall be separately invoiced and paid for when due without regard to subsequent deliveries. Delay in delivery of any installment shall not relieve the purchaser of its obligation to accept remaining deliveries. The Company shall not be liable for delay due to causes beyond its reasonable control, such as acts of God, acts of the Purchaser, act of civil or military authority, priorities, fires, strikes, lockouts, floods, epidemics, quarantine restric-tions, war, riot, delays in transportation, car shortages and the inability due to causes beyond its reasonable control to obtain necessary labor, materials, or manufacturing facilities. In the event of any such delay, the date of delivery shall be extended for a period equal to the time lost by reason of the delay. made. If shipments are delayed by the Purchaser, payments shall become due from date when the Company is prepared to make shipment. If manufacturer is delayed bsy the Purchaser, payment shall be made based on the contract price and the percentage of completion. Apparatus held for the Purchaser shall be at the risk and expense of the Purchaser. Any controversy, dispute or claim arising out of or related to this contract or breech thereof shall be settled by arbitration held in Homestead, Florida in accordance with the rules of the American Arbitration Association, and judgment may be entered upon any award in the Court of Common Pleas of Miami-Dade County, Florida or in any other court in any state having jurisdiction. Any of the terms and provisions of the Purchaser’s order which are in any way inconsistent with these Standard Conditions of Sale or which are not expressly contained in this acknowledgement shall not be binding on the Company and shall not be considered applicable to this sale. In no event shall any claim for consequential damages are made by either party. The Company will comply with all applicable Federal, State and local laws. No waiver, cancellation recession, alteration or modification of any of the provisions on the face or reverse hereof shall be binding unless in writing and signed by an executive officer of the Company or by the General Sales Manager of the Company.